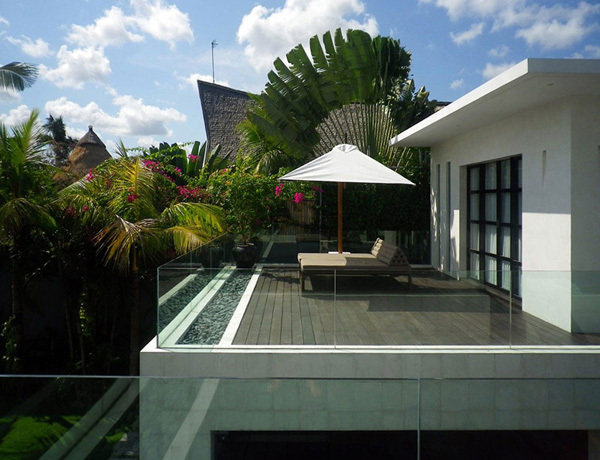 Bali Indonesia is best known for its luxurious resort and elegant villas. 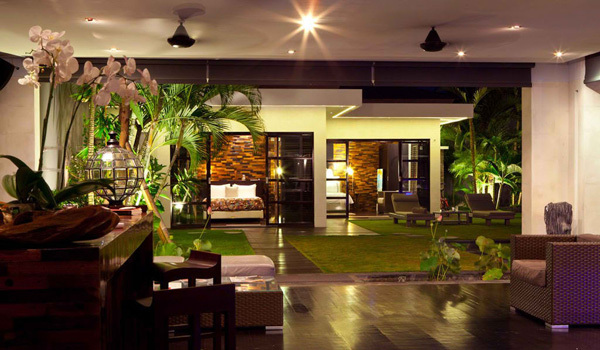 These villas bestow wonderful experiences because of its remarkable style and design. This is also one of the reasons why there are many tourists who prefer to stay in Bali. They find the real meaning of comfort and relaxation. They can truly unwind from the stressful work in the city. 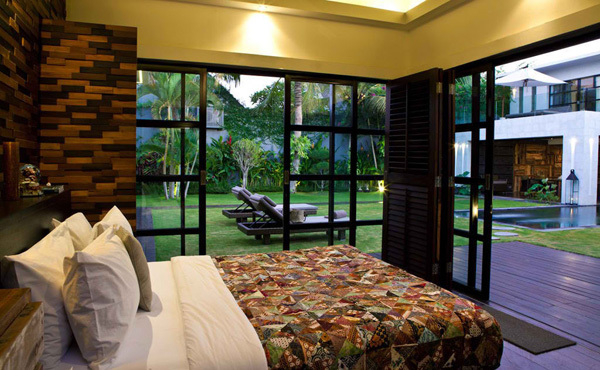 Today, we will explore the different and unique features of one of those pride villas of Bali. This is known as Casa Hannah. 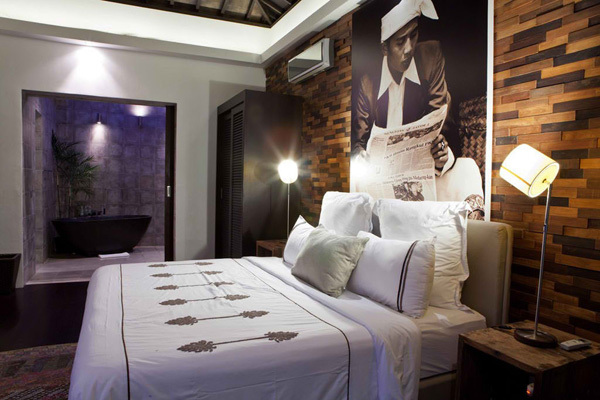 Spotted at the heart of Seminyak, this villa is decorated in contrasting and complimenting patterns and textures. 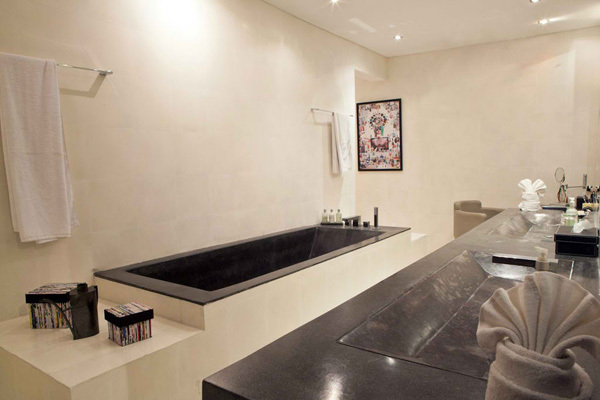 This is very attractive for the designer applies extraordinary character and style. 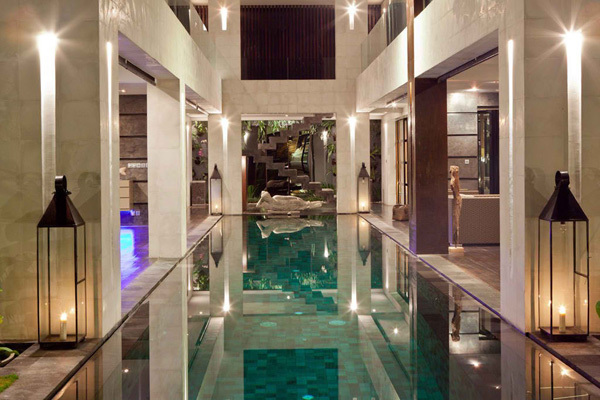 This is highlighted with the enchanted infinity pool. While there are other features of this house which makes this unique. 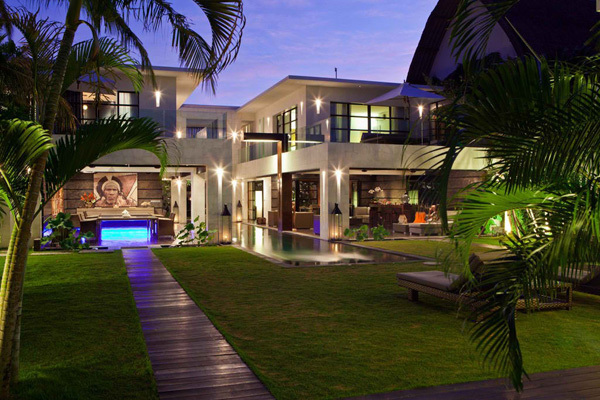 What makes this villa unusual and sophisticated? Well, let’s take a short tour in the interior and exterior below. 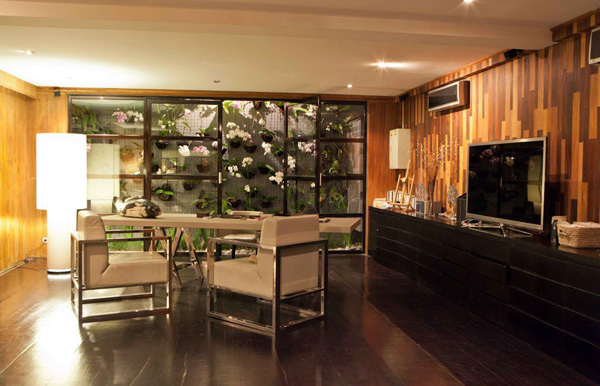 Let’s take a glance at the smart and classy building of this Casa Hannah. 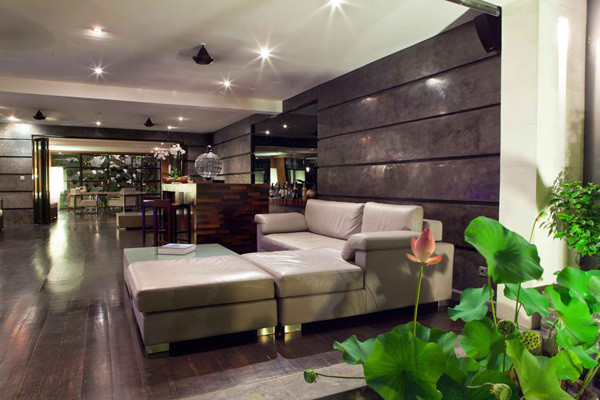 Here you can see how this brown squared sofa complements with the brown wooden floor in the interior. These lights really seems like stars sparkling in the ceilings of this living room. The smoothness texture of the ceiling as well as the huge cabinet set in this kitchen is graced with the latest appliances here. Wow! 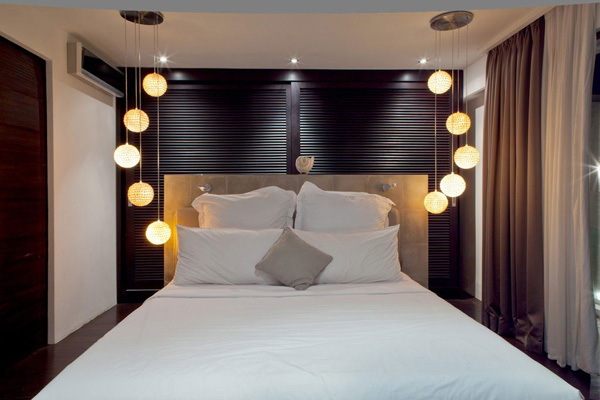 These simple but luxurious lamp shades add more sophistication to this area. This sculpture increases the artistic elements in the house that captivates the heart of the client. Even at night we can still witness the clean and wonderful landscape in the exterior. The pattern and texture in the mattress in this bed harmonize with the brick wall and brown palette on the floor. See how this big painting offers life and beauty with the white pillows well-arranged in this bed. The round chandelier in the head side of this white bed is enough to make this comfortable and charming. 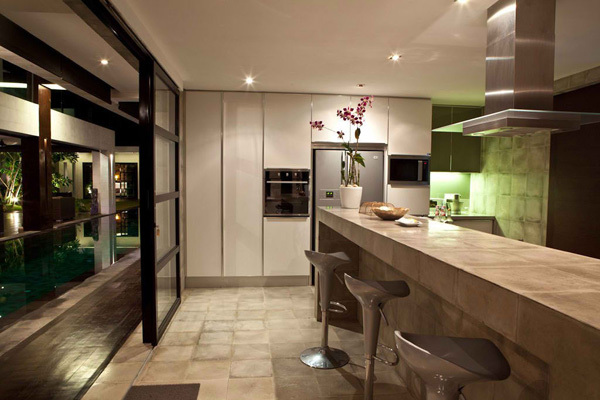 Great combination of brick walls and glass materials is highlighted in this kitchen. 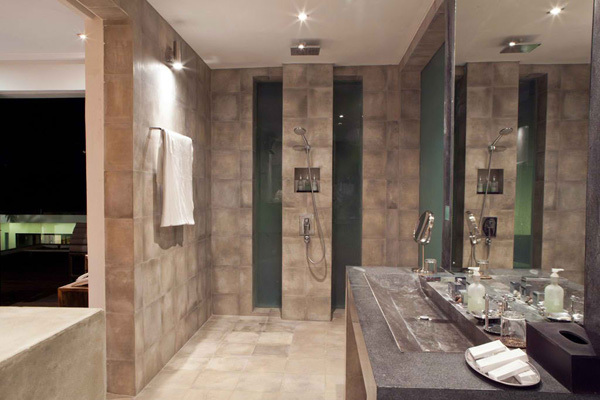 The beige and brown palette used made this bathroom spacious and clean. 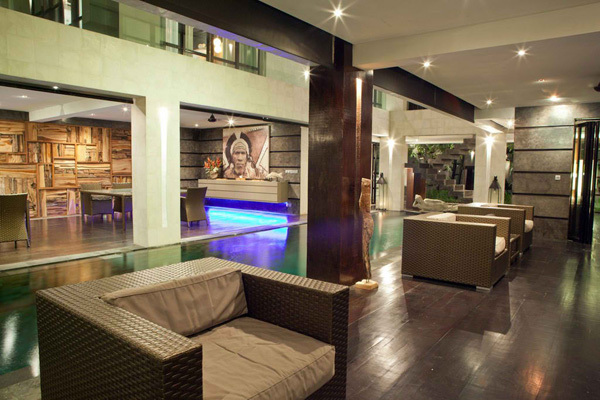 Let’s have a closer look at the rectangular pool which considered being the best feature of this villa. In the morning, the client may enjoy the natural light in this terrace. 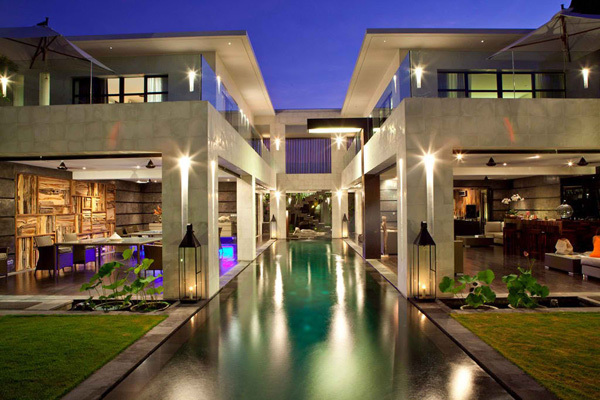 We may see how the designer put the different elements together to make this garden and infinity pool stand out. Definitely, I can say that the distinct features and grace of Villa Hannah really stands out among the other villas in this area. Great style and comfort may surely provide satisfaction to the client and its guest. 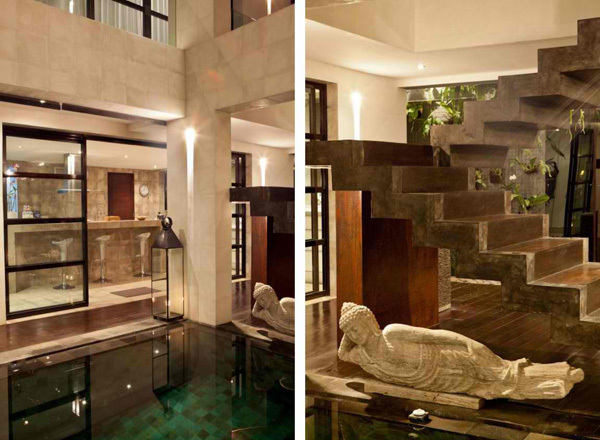 The Bo Design magnificently created this fashionable and trendy villa in Bali. I am pretty sure that you may as well agree with me and be inspired of the promising features of this Villa Hannah.